Following the success of the night-time Singles Fixtures introduced in mid 2017, the UQ Tennis Club will be launching a short daytime season of Singles Fixtures over two Sundays in June. If successful, there will be a second season of Sunday Singles Fixtures in November. The Sunday Singles Fixtures #1 will run from 10 a.m. to 2 p.m. on two consecutive Sundays (2 June & 9 June). Entrants are commiting to being available for both Sundays. All matches will be one Set (i.e. first to 6 games with a tie-break if the score reaches 5-games all). Approx. one hour will be allocated for each match. 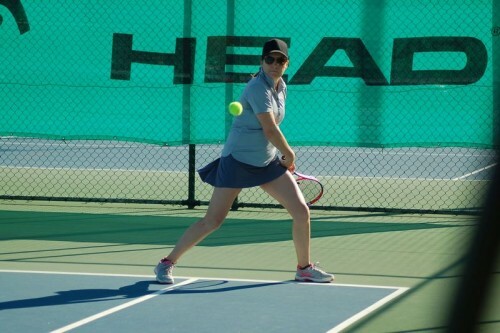 Players will play three matches per day from 10 a.m. to 2 p.m.
All matches will be played, so the season may be extended to 16 June or beyond to play any washed-out matches. The season fee is $45 for Ordinary, Associate & Junior members of the UQ Tennis Club or $55 for all others. Entries close on Thursday, 23 May.